The Essence is fitted with a 3 point bridle with one added line running from the upperspreader connector to the inhaul and pulls it in a bit. Click the image for the larger version with all the measurements. 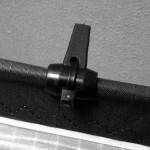 Velcro 2,5 cm 20 cm. 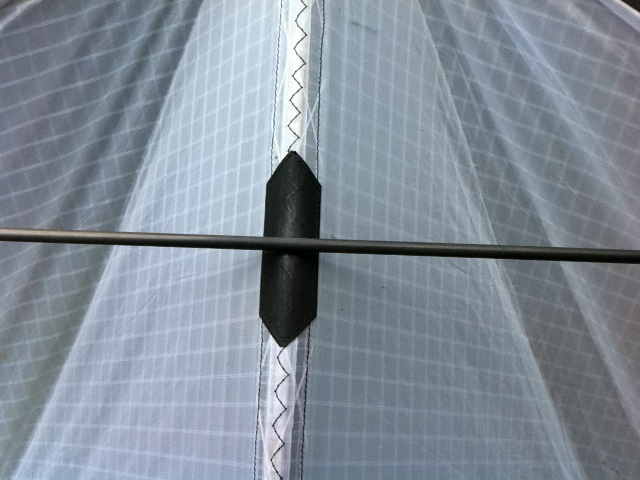 The double line at the spine area marks the overlap for sewing. Align the icarex pattern to the spine when you use the single piece wing sections. 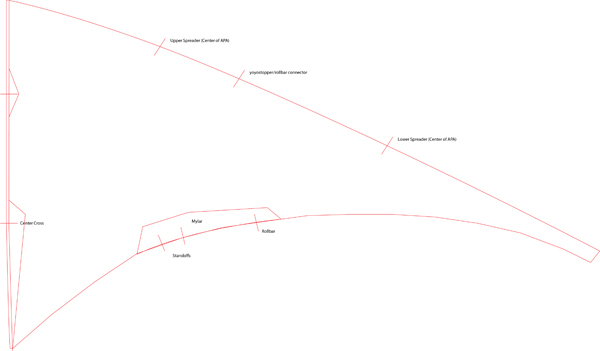 The length of the finished Leading Edge tunnel should be around 146cm; the wingtip in the plan might be a little too long. Please cut to length before sewing the Leading Edge dacron. 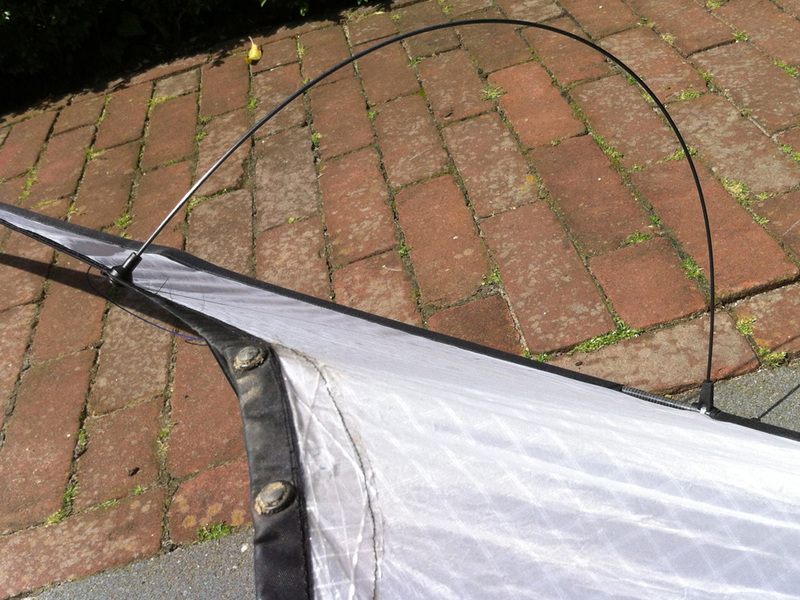 Use some dacron at the Standoffs and Rollbar on the Trailing Edge after sewing on the seam-tape to reinforce that area. Standoff length should be 28 cm LS rod to sail. Inner: 26,5 cm. Outer: 31,5 cm. Drill a hole trough the side of the Exel connector large enough to fit a tiewrap. Cut the 7 mm. part at the side so the connector will point backward instead of upwards like the picture. Cut or melt a hole in de Leading Edge dacron as close as possible to the Leading Edge rod. Use tiewrap to fixate the connector. 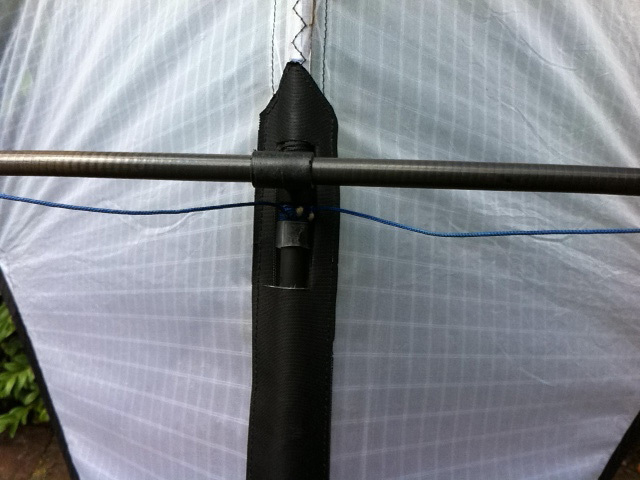 The leechline can be attached to the wingtip nocks or sewed in with the Trailing Edge nylon tape at the tips. 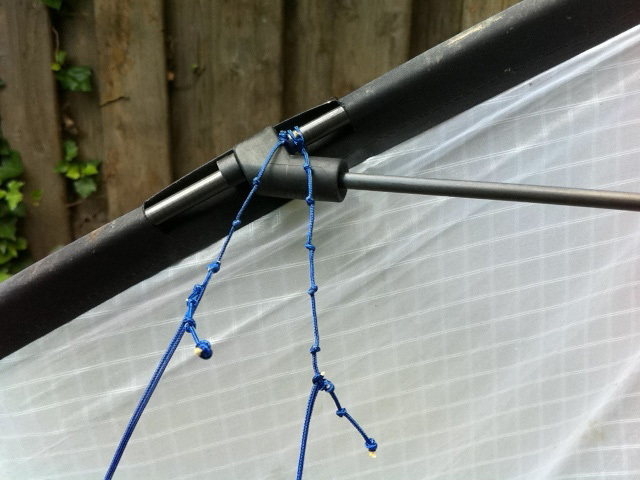 Use a piece of bungie cord (knots at both ends) around the center cross and attach the leech line with larkshead knots for easy adjustability (just slide the larkshead knots).